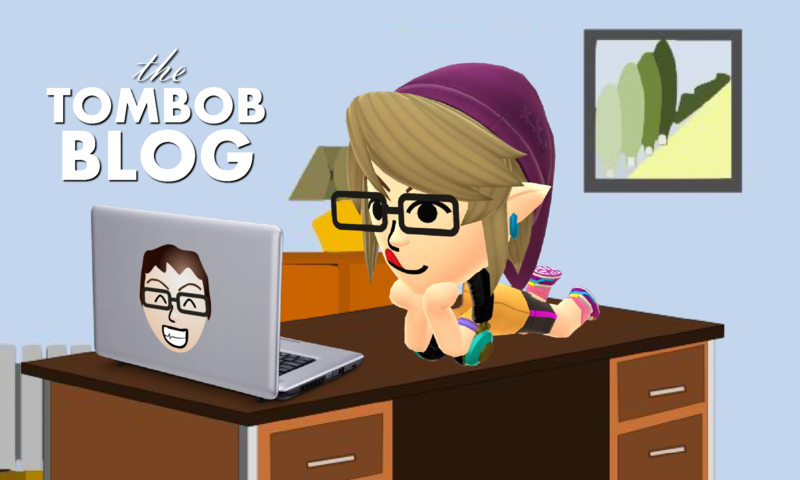 The TomBobBlog – Page 4 – Now You're Reading with Power! A conversation came up at dinner about going out to roller skate or ice skate. I have ice skated before, only once, in Times Square in front of the Christmas tree about 15 years ago, but I don’t think I have any memories of roller skating. I might try it, but I’m so super paranoid about damaging my hands these days. I think that’s when I kinda stepped away from sports all together when I realized that my hands were going to be a huge part of my life and career. I don’t think they’d have them in my size anyway. At least not where they can be easily found. I managed to finish the game last night. I wasn’t all that impressed overall. A neat idea, but that second Wily Stage was such a deal breaker for me. A platforming nightmare. Way too many spikes. Happy Superb Owl day. I hope you all had a good one. My started off with a sore throat which for some reason is always the most painful when first waking up then starts to fade as the day goes on. My speaking voice is about 90 octaves lower than usual, and I hope I have some use of it tomorrow for my school meeting I have to run. Last night I decided to stream that 2.5D Mega Man fan game. I wasn’t really impressed with it overall, and there are so many bugs I found in the game. For starters, I managed to slide through the wall twice and kill myself in the weird screen-wrapping thing. If you collect a health pellet and bring up the menu, the sound effect continues to play until you exit. I also felt that some of the stages were way too long and the checkpoints were oddly placed. There are so many intentional death traps in the game, which I find increasingly annoying, especially with a bed of spikes at the bottom of a blind jump. The early Wily Castles take too damn long to get through and are littered with spikes everywhere. EVERYWHERE. Then you try to combine underwater platforming with walls of spikes and enemies that cannot be killed… a bit ridiculous. I intend to finish the game at some point, but I was beyond aggravated at the game and on top of that, starting to not feel well. I also found some of the music remixes to be a big over-the-top; piling on 4 or 5 additional harmony tracks doesn’t make it automatically better, making it sound a bit cluttered and overdone. What they did to Shadow Man was definitely not one of my favorites. I guess I should finish the game. Those who really know me know that lasagna is my favorite food ever. Those who didn’t know that are now in the know. Now you know. I decided to bake it tonight since tomorrow is the Super something going on around here about some teams I’ve never heard of nor care about. I could go for some chips and dip though. That’s always nice to look forward to on days like that. My second favorite food is spaghetti. For those who know me well enough know how much I love modding electronics to improve them in some way. I’ve always had an interest in electronics, especially figuring out how they work and how they do what they do. I’ve done a ton of different modifications to my NES specifically, and have taken it apart over a dozen times growing up to clean it or diagnose problems. About 10 years ago, replacing the 72-Pin connector was among the first repairs I think I’ve done. I wondered what else I could do with the NES since, over the years, I’ve had collected about 5 of them from various flea markets and game stores in varied conditions. I had one particular case that was discolored and chipped in certain parts, so I was willing to use it for other purposes. It wasn’t long before I removed all of the contents of the then-broken NES and came up with a weird idea to try and mount a DVD player into an NES case. I remember seeing a small model in Wal-Mart and decided to buy it. I think it was around $30. I even wired the NES LED, power and reset switch to function the DVD player. In the end it all worked just fine. It’s still functional today, but it’s stuffed in a storage closet in another faraway state. I uploaded my project to my YouTube channel which received varied reactions. I have a few other NES mods I’ve done, but I can save that for another blog. Tonight, I wanted to share something else. Back in December, I preordered a mod kit for my NES that would allow me to run my NES through HDMI at 1080p natively. Just today I was informed that my preorder had shipped. The process to install this on my NES seems a bit daunting, especially since I lack the proper tools. I decided to hire someone to install it for me, so I’ll be setting that up pretty soon. If you’re interested in what I ordered and what it does, check it out here. Happy Groundhog Day, everyone! It’s always a fun day for me because it gives me a great reason to watch one of those cult classic films called “Groundhog Day”. I don’t think I’ve ever missed a Groundhog Day where I haven’t seen that movie. It’s one of those movies that I remember watching over and over again when it came out in 1993 and then some years beyond. I loved it so much and I guess for many different reasons. It’s one of those movies I can sit and recite most of the lines to. I can do the same for most of Mrs. Doubtfire and The Lion King as well. I ended up watching the movie alone as I usually end up doing, but that doesn’t bother me. I don’t know that many people who either like that movie as much as I do or have even heard of it. I often imagine what it would be like to relive one particular day over and over, and try to imagine what day I’d like for myself. It’s probably what has always fascinated me so much about this movie, even at 11 years old. And since I love Winter and the cold weather so much, I generously welcome six more weeks of it as Punxsutawney Phil predicts for us. In other news, my front door is yellow today. Hi everybody! Thanks for checking out my new blog! I hope to post to this quite regularly, filling you in on various things that go on with my day as well as any news, thoughts or opinions I might have where I would probably not share anywhere else. I might also announce some future plans for different events, such as upcoming cosplay ideas, future conventions I might attend or video ideas. The possibilities!